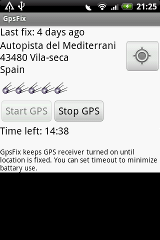 Me liked the application GPSFix, but the android market for HTC WildFire it is not available for installation. You can fix the situation? Thanks in advance. What the diference free version and de luxe?